The recent series of tweets sent out by President Donald Trump banning transgendered individuals from serving in the military has brought the transgendered community into the headlines. On Aug. 16, Joy Ladin, the first and only openly transgender employee of an Orthodox Jewish institution, will speak in Birmingham. The “family-friendly presentation and discussion” will explore gender and how gender is connected to religion, tradition, and community. The program will be held at the Emmet O’Neal Library in Crestline, starting at 6:15 p.m., and is open to the community. Ladin is the David and Ruth Gottesman Professor of English at Yeshiva University. 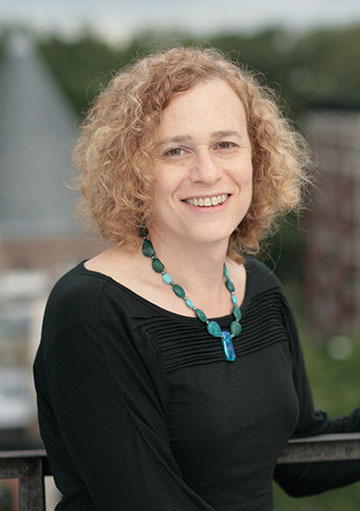 The former Jay Ladin, after receiving tenure in 2007 she told the dean at Yeshiva’s Stern College that she was transitioning, and was put on leave. After student support and some legal maneuvers, she returned to campus as Joy in 2008, and received a great deal of support. Her transition did result in the breakup of her marriage, and the divorce was a trauma for her three children. She travels to speak about the practical, religious and emotional issues around the transgendered. Her goal is to strengthen American democracy by finding ways “to talk respectfully about both our differences and our common concerns” without demeaning others. The evening is sponsored by Jewish Family and Career Services of Atlanta, and is hosted by SOJOURN: the Southern Jewish Resource Network for Gender and Sexual Diversity.